Steve Gomez’s first encounter with a Chili Cheese Burrito happened at his high school cafeteria. He walked through the lunch line one day to figure out what to eat. At his particular high school, students had the option to either pick from the school’s food or pay a little extra to get something from Subway, Pizza Hut, or Taco Bell. He was looking for something that deviated from the standard lunchtime fodder, so he grabbed a Chili Cheese Burrito for his meal. Little did he know, but he had stumbled upon one of Taco Bell's most beloved cult items. While Taco Bell is “living más" in 2018, filling its menu with items that test the limits of fast food, it was much simpler in the early 90s. In 1990, the chain introduced the Chili Cheese Burrito -- a concoction that literally was just chili and cheese inside a flour tortilla -- and included it within its budget-friendly 59-79-99 (cents) deal. At the higher price of 99 cents, one could purchase things like the chicken soft taco, while 59 cents (plus tax) would net you a plain taco or an order of cinnamon twists. But for 79 cents, you could get two of the chain's more interesting options. Customers could get either a MexiMelt, a soft taco-like item that is still available today, and the Chilito, which would later be renamed the Chili Cheese Burrito. The Chili Cheese Burrito was simple but unique: Its seemingly cumin-heavy, spicy beef chili differed from the standard ground beef found in Taco Bell's burritos and tacos. The Chili Cheese Burrito also came with a thick layer of melted cheese that blended with the beef and warm flour tortilla. The end result was a slim-ish, short burrito proved that all you need is cheese and meat wrapped inside a flour tortilla for a satisfying fast-food bite. To be clear, Taco Bell’s Chili Cheese Burrito was not a novel concept. In fact, its history as a foodstuff goes back decades, if not centuries. Journalist and Mexican-food historian Gustavo Arellano points out via email that “chili wrapped around a flour tortilla is nothing new -- that's how they used to eat food in Texas since before it was called Tex Mex.” He says the original Texan version, a chili burrito, was simply chili wrapped in a flour tortilla -- nothing more, although there may have been a little bit of cheese. However, he credits Taco Bell with mainstreaming it and adding cheese. By the mid-1990s, however, Taco Bell dropped the Chili Cheese Burrito from its national menu. When pressed about why, a spokesperson for the chain provided little information other than the following: “The Chili Cheese Burrito consists of chili and shredded cheese wrapped in a warm tortilla.” Thanks? Despite its national disappearance, Taco Bells in places like Ohio, the Twin Cities, and St. Louis retained the item. If a specific location carries it, all a customer needs to do to obtain one is ask for it at the counter and voilà: A Chili Cheese Burrito will appear with their order -- as long as the store carries the special chili that Taco Bell only now creates for a minority of stores. The dish is not only delicious but elusive, cementing its status as one of Taco Bell's best cult-loved items. Fellow Chili Cheese Burrito obsessive, and chef and owner at The Plum in Cleveland, Ohio, Brett Sawyer had the same life-changing experience. Sawyer consumed his first Chili Cheese Burrito at a Taco Bell in Elyria, Ohio, and said at one point he ate four to five Chili Cheese Burritos per week. “I get them every time I go to Taco Bell,” he enthusiastically explains. While he no longer eats Chili Cheese Burritos at that pace, Sawyer is enough of a fan to use the item as inspiration for food he’s served at his restaurant. For instance, when Cleveland’s Major League Baseball team played the Chicago Cubs in the 2016 World Series, it was the Chili Cheese Burrito that helped pave the way for his own Cleveland-themed menu item. Gomez’s passion for the Chili Cheese Burrito took him in a different direction. After he exited the armed services, he worked for a small software consulting company in Tallahassee, Florida. One afternoon in the summer of 2004 he and some of his coworkers found themselves reminiscing about discontinued fast-food items. Someone brought up McDonald’s infamous McRib,, before another person turned the conversation to the Chili Cheese Burrito. “Oh right!”, the group unanimously exclaimed. The suggestion seemed to strike a powerful nostalgic nerve for Gomez and his fellow coworker Stephane Guerette. The two began obsessively researching the status of the Chili Cheese Burrito. They found that not only did it exist but they could still nab one (or several) at the Chiefland, Florida, location, a two-hour drive from Tallahassee. 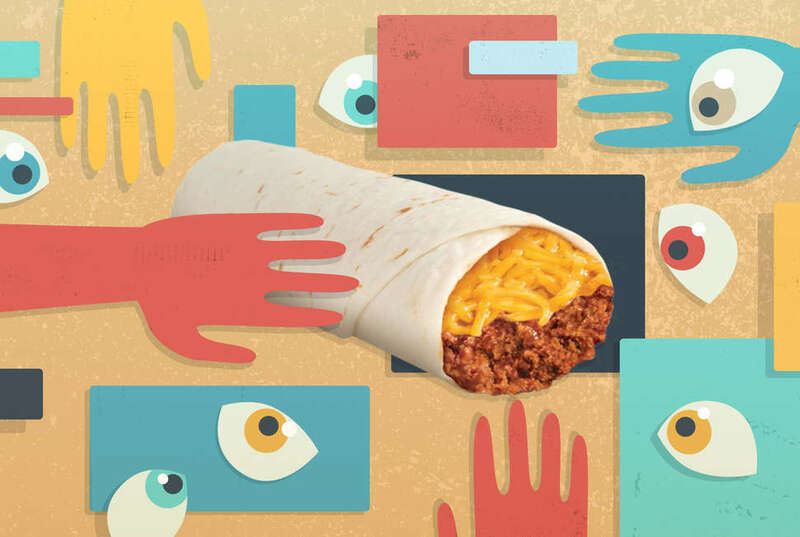 Their discovery lead them to wonder: What other Taco Bells still carry the Chili Cheese Burrito? The sleuthing eventually birthed ChiliCheese.org, a website that’s solely dedicated to maintaining a crowd-sourced database of Taco Bell locations that still serve the Chili Cheese Burrito. When Gomez and Guerette launched it in 2004, the web was still in its relative infancy, and the site was a far cry from its current incarnation, which uses an incredibly versatile Google Maps API to cleanly and precisely pinpoint each Chili Cheese Burrito-serving Taco Bell. ChiliCheese.org 1.0 was simply a list of Taco Bell restaurants, scraped from Taco Bell’s data, that allowed users to up-vote or down-vote a listed location, based upon whether or not those restaurants actually served the item. Gomez estimates that in those pre-Twitter and -Facebook years they were able to identify five to six percent of Taco Bell locations carried the Chili Cheese Burrito (now, he believes it’s more like 18 percent of locations serve it). Eventually, Guerrette faded out of the project, and Gomez, too, lost interest for several years. It wasn’t until Gomez and his friend Emma Sinclair, who’s a graphic designer, decided a few years ago to redesign the site. That’s when they integrated the Google Maps interface to better visualize the Chili Cheese Burrito’s whereabouts. It was a savvy move, as the site illustrates the regionalized pockets where the item thrives. And ChiliCheese.org’s current presence on social media sites like Facebook, Reddit, and especially Twitter allow Gomez and Emma to coordinate directly with fans about sightings and share their love for the item. Thankfully, Taco Bell took notice of the site and offered assistance (to Gomez in order to keep Chili Cheese Burrito fans informed. “In February, they gave us the [location] data,” Gomez says. Then Taco Bell sent out a tweet, notifying its nearly two million Twitter followers of the existence of the site. Gomez says that he and the site have softened their previously adversarial tone towards the chain. Gomez credits other online-based campaigns to reinstate discontinued fast-food items, like the Beefy Crunch Movement, for helping the company realize that these uber-fan campaigns can be beneficial for the company. While the Beefy Crunch Movement has seen minor success in getting the chain to bring back the dish the chain still hasn’t committed to a national introduction for the Chili Cheese Burrito -- yet. 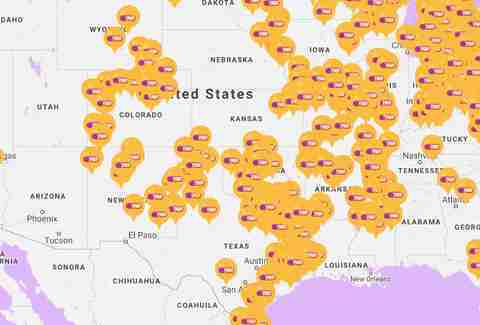 But Gomez’s site includes a FAQ page that details how fans can keep pressuring Taco Bell to revive it coast to coast, which includes consistently calling local locations and asking if they carry it. Inspired by Gomez’s quest to catalog the Chili Cheese Burrito’s whereabouts, I figured I’d help him confirm locations that carried the item, as I, too, grew up inhaling Chili Cheese Burritos. For the last six years I’ve lived in New York City, a veritable Chili Cheese Burrito desert. But when I first looked at Gomez’s map, I was surprised to see one location in the city allegedly carried the burrito: the store off E. 103rd Street in Spanish Harlem. I enthusiastically phoned the restaurant but went straight to voicemail. After six more attempts, a man’s rushed voice finally picked up and answered my question: Do you guys still carry Chili Cheese Burritos? “Nah, baby, they keep those in the Midwest. The east coast don't want ‘em." Then he hung up.